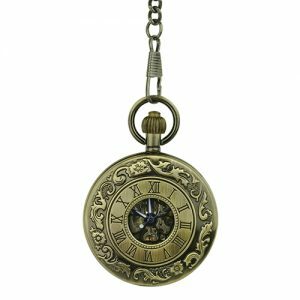 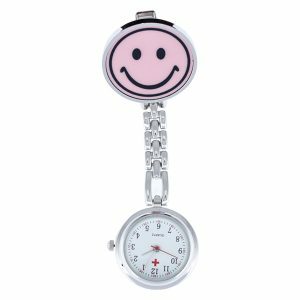 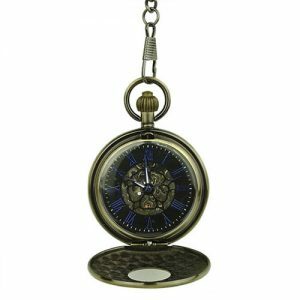 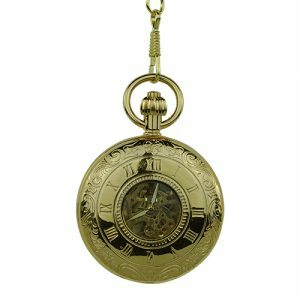 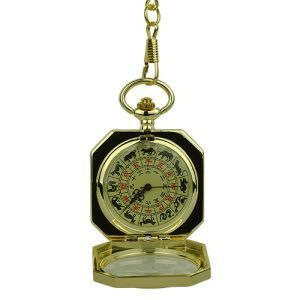 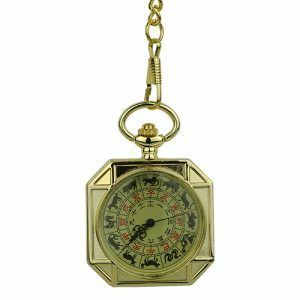 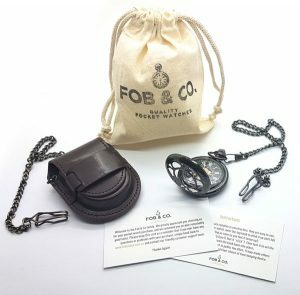 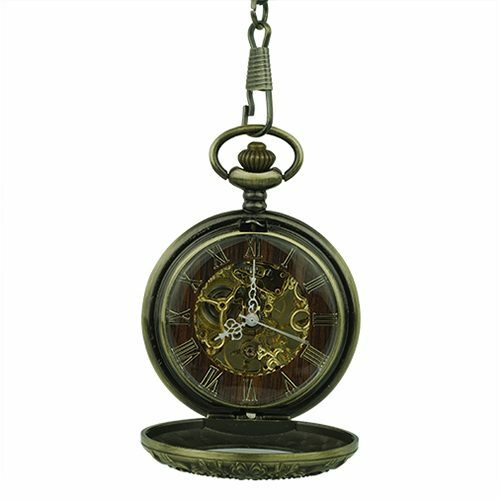 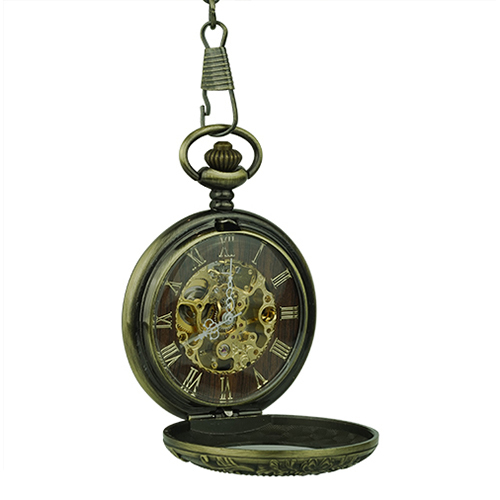 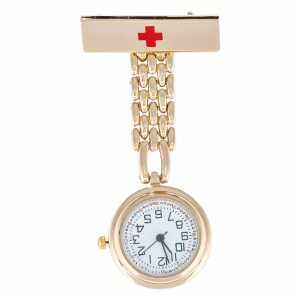 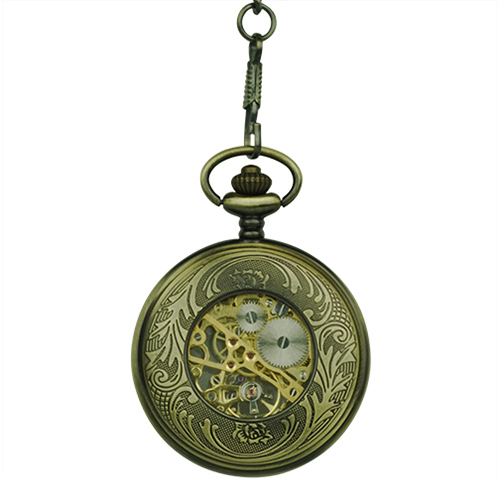 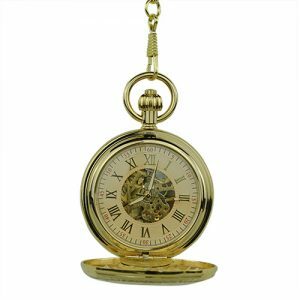 Vintage Brass Tone Half Hunter Fob Watch - Fob & Co.
Stay the course beautifully with this brass finished, half hunter pocket watch that features a striking floral and vine pattern. 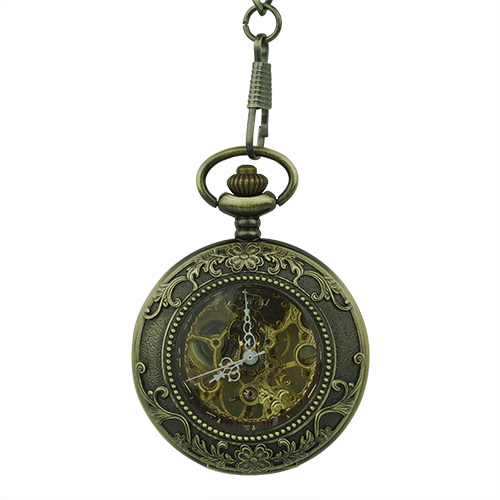 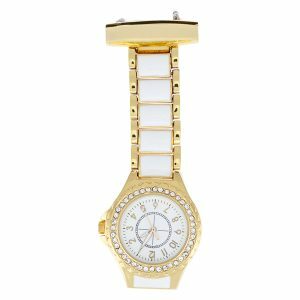 Inside you will see elegant, gold, Roman numerals surrounded by a gleaming wooden ring. 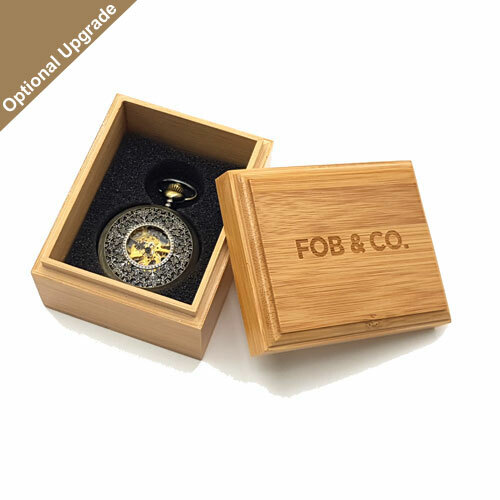 The entire look is topped off with the lavishly made golden inner skeleton.